S/L FG Grant DSO DFC, CO 118 (F) SQN 28 February 1943 to 12 October 1944. 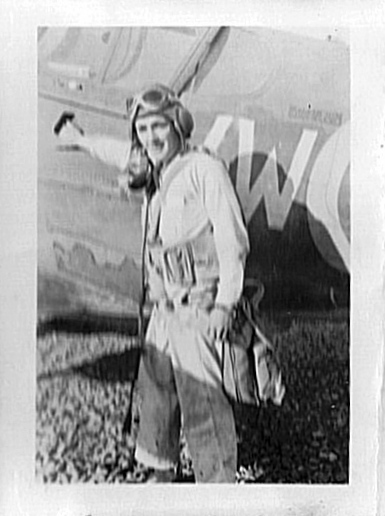 S/L Art Yuile, CO 118 (F) SQN June 1942 to February 1943, on his personnal mount. 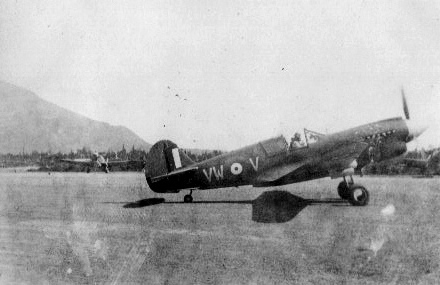 118 (F) SQN RCAF June 1942, Alaska. 118 (F) SQN newly arrived at Annette Island Alaska. June 1942. The two Hudsons in the line up accompanied them all the from Dartmouth NS for their cross country trek. Pilots of 118 (F) SQN, Annette Island Alaska spring 1943. CO S/L FG Grant sitting at center. He will take the unit to the UK for conversion to the Hawker Typhoon. He will command the renumbered unit (438) until promoted to W/C taking over 143 Wing RCAF (438, 439 & 440 SQNs) earning a DSO and a DFC. On his immediate left and right, two more pilots who will command 438 on Typhoons, both losing their lives in the process. Gun harmonizing. 118 (F) SQN. 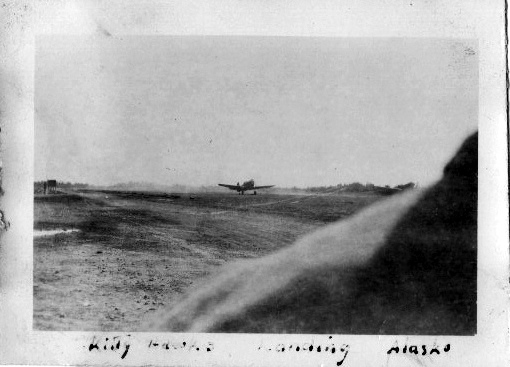 118 (F) SQN ops begin. 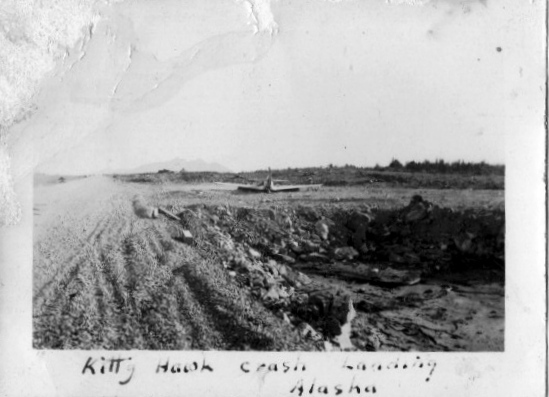 Annette Island Alaska, June 1942. 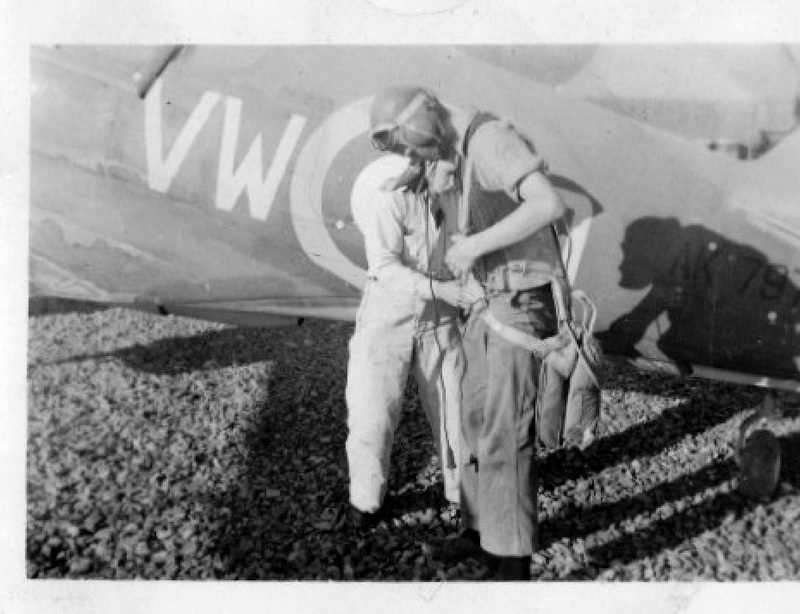 The 403 squadron site is a work of love, and respect. Well done. They were truly great guys ! I’m a major fan of the Curtiss p-40 Kittyhawk. I quite by accident came across this site while doing research on Umnak, Island, Alaska. 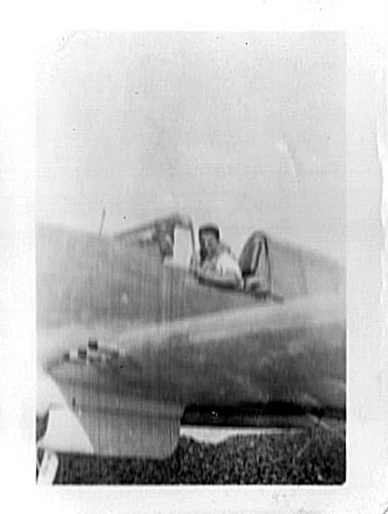 There I found an image of pranged Kittyhawk from RCAF 118 Squadron AK 857 I.D. ‘H’. that took place on 1/September/42. My dad served with the 111 (F) Squadron Thunderbirds. 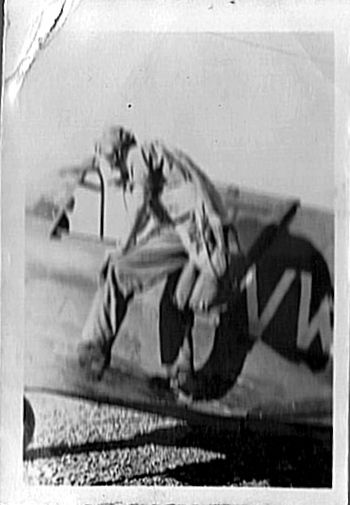 Dad was stationed at Elmendorf, AFB, and he and one of his buddies were sent down to Annette Island to repair ( I believe) this Kittyhawk. Just curious, would anyone have further info on the above mentioned hawk. ie: who was the pilot ? what was the cause of the prang ? Once again, nice site and thank you in advance.